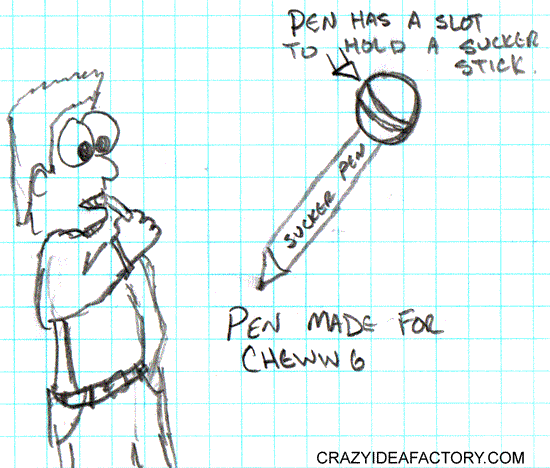 This crazy idea is inspired by the Illustration Friday word of the week, warning. In an effort to help improve and simplify the world of warning labels I have attempted a rather generic warning label of my own. Let me know what else you think should be added. 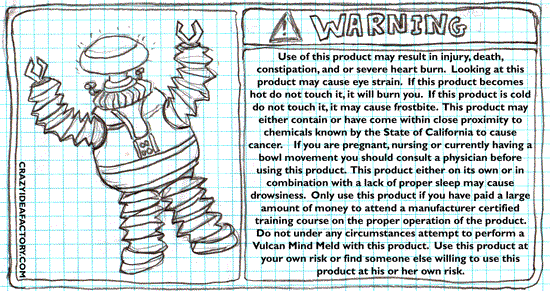 Use of this product may result in injury, death, constipation, and or severe heart burn. Looking at this product may cause eye strain. If this product becomes hot do not touch it, it will burn you. If this product is cold do not touch it, it may cause frostbite. This product may either contain or have come within close proximity to chemicals known by the State of California to cause cancer. If you are pregnant, nursing or currently having a bowl movement you should consult a physician before using this product. This product either on its own or in combination with a lack of proper sleep may cause drowsiness. Only use this product if you have paid a large amount of money to attend a manufacturer certified training course on the proper operation of the product. Do not under any circumstances attempt to perform a Vulcan Mind Meld with this product. Use this product at your own risk or find someone else willing to use this product at his or her own risk. Where do groundhogs learn how to predict how much longer winter will last? 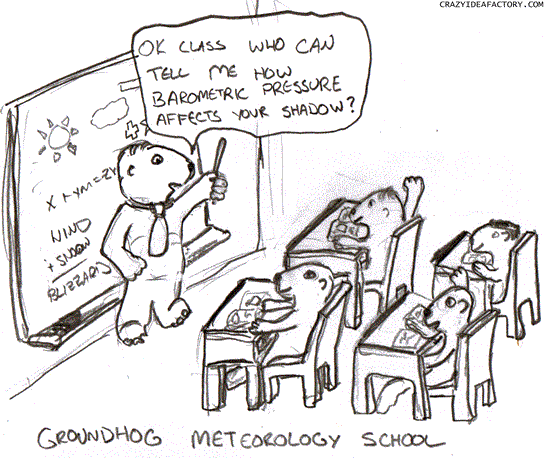 Groundhog Meteorological School of course. It has long been considered bad form to wipe your nose on your sleeve, but that conflicts with the natural instinct to use the forearm to wipe your nose. Why fight the urge? Get yourself the “Sleeve Wiper”. 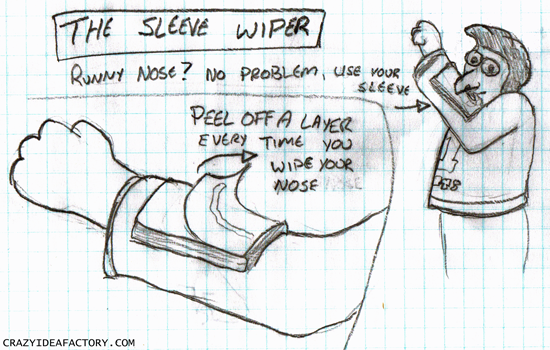 The “Sleeve Wiper” is a stack of tissues attached to your forearm. Wipe away the snot, peel off the soiled tissue layer and you are ready for the next runny nose situation. Great if you have a cold, kids or just enjoy more stuff strapped to your arm. Practicality and fashion are working in tandem with the “Antennae Hat”. Not only is this hat extremely trendy with its cutting edge design, it also has a built in wireless router fed signal by a variety of options. You wear it on top of your head and it broadcasts signal wherever you walk, allowing you and those around you to have a good quality wi-fi signal at all times. 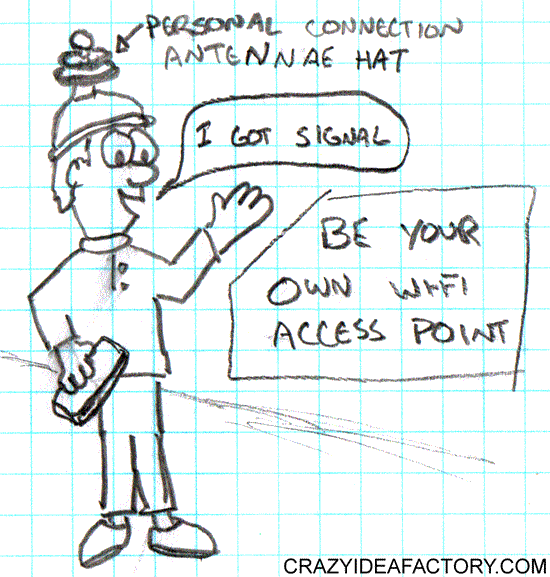 The “Antennae Hat” get signal, get noticed!!!!! Are you embarrassed that whenever you need to do a complicated math problem? 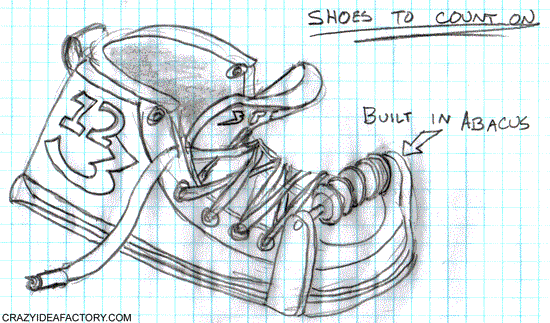 Do you end up needing to remove your shoes so you can count on your toes when adding and subtracting large numbers? With the “Shoes You Can Count On” you will never have to display those disgusting toes of yours in public ever again. Instead of exposing everyone around you to that dangerous foot odor of yours you just slide the beads built into the toes of the shoes. You shoes will work like a good old fashioned abacus. Often times during cold weather you are forced to go back and forth between cold and warm temperatures. If you stay all bundled up while going from hot to cold you end up sweating in the hot only to have that sweat make you colder when you get back into the cold temperatures. If you try to go in and out with not enough clothes on you just end up freezing. Either way you are going to get yourself sick. 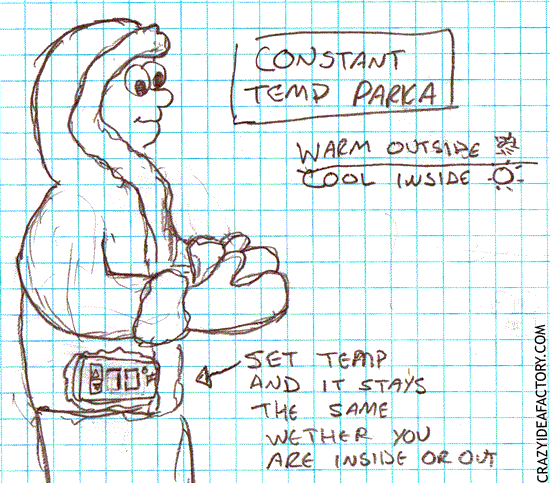 The solution is a constant temperature coat. The coat is lined with a liquid temperature regulation system that will keep your temperature “just right” no matter the surrounding temperature. Now that the holiday season is in full swing many refrigerators are beginning to overflow with too many leftovers. Most of those leftovers will go uneaten unless you have a Leftoverinator. Ham, turkey, tofurkey, yams, spinach, potatoes, whatever your leftover may be dump it into the Leftoverinator. 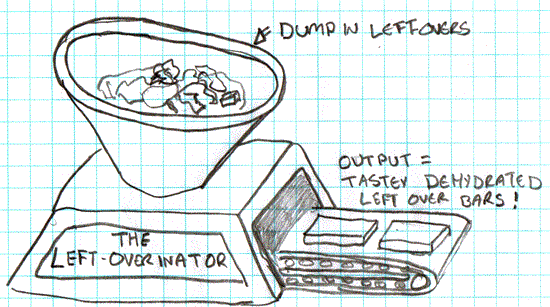 The Leftoverinator uses a patented process to dehydrate, reformulate and preserve your leftovers as tasty leftover patties. Don’t worry about the flavor. No matter what you dump into the Leftoverinator it will come out as patty that tastes just like chicken.